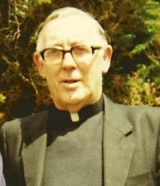 In the summer of 1967 Fr. Padraig Hannelly from Tarmon was home from the missions visiting his sisters in Castlerea. During his stay, he visited Jack and Claire McDonnell's on Main Street (where "Paul's Barber Shop" is now located), which was a renowned visiting house. While there, a number of people came to visit and, eventually, a large group had assembled, among them were Claire McDonnell, Margaret Newman and Sally Keane. Discussion eventually came upon the topic of the O'Rourke Park Development Committee (GAA). As fundraising ideas were being thrown about, Fr. Hannelly suddenly asked, "If I write a panto, would you perform it?" The response among those present was very positive and so Fr. Hannelly returned to the home of his sister, Breege Keaveney, at Patrick Street and began to write a pantomime. A general public meeting was called and it drew a large attendance. The pantomime was given the go-ahead. Casting was carried out at the meeting with people being proposed and seconded for parts! Martha Rhatigan was given the job of Musical Director and Michael O'Flynn that of Producer/Director. On the 27th & 28th March 1968 "The Long Ju Ju" was performed in the Castle Cinema in Castlerea by the O'Rourke Park Development Committee. The success of the first pantomime led to the writing of two more shows by Fr. Hannelly, "Robin Hood And His Merry Women" and "The Golden Fleece", which were performed in 1969 & 1970 respectively. After this, it was decided to continue the musical theatre tradition in Castlerea. On Tuesday 25th April 1972, Castlerea Musical Society took to the stage with their production of "Oklahoma! ".